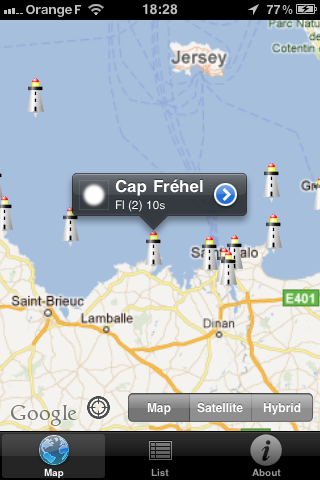 The application "Channel's lighthouses" presents the remarkable french lighthouses and lights between Dunkirk and the tip of Brittany. 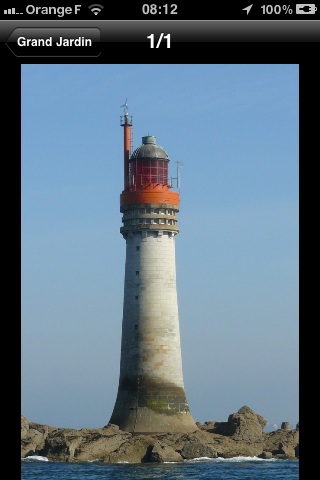 Each lighthouse is described with a sheet characteristics (description, height, elevation of the light, range,...), photos and its location. 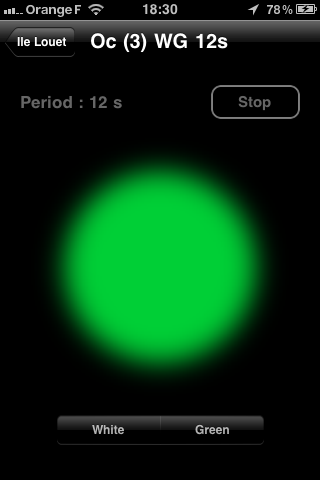 In addition, it is possible to simulate its light. 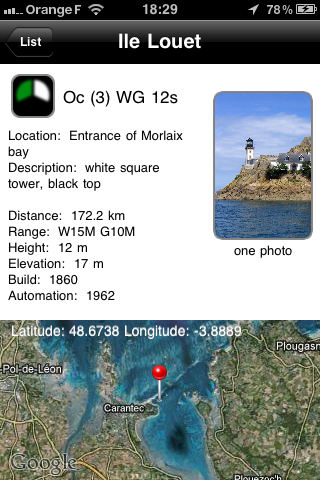 A "Map" view lets you locate all the listed lighthouses. 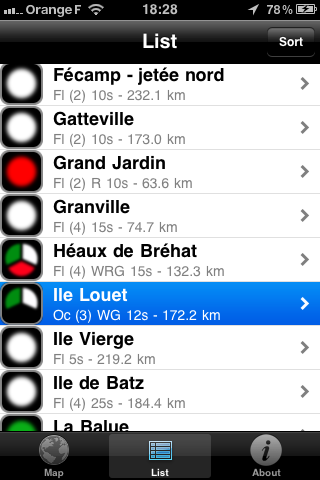 Lighthouses descriptions are also accessible through a "List" view that can be sorted according to several criterias: sort alphabetically, sort by distance to the user, sort by type of light (color). 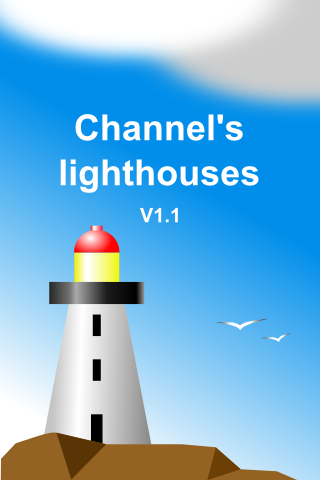 The application "Channel's lighthouses" is not a navigation aid application. Data of lights were not checked by SHOM and are for reference only. The authors disclaims all liability for misuse of them.